Tether (USDT) & Bitcoin (BTC) – A new study has surfaced this morning putting Tether in the negative spotlight once again. Last December, Tether was subpoenaed by the U.S Commodity Futures Trading Commission to provide proof that the digital currency was in fact back by a reserve of U.S. dollars. Bitfinex was also subpoenaed due to it losing banking relationships, but continued to remain operational. Around this time, Bitcoin (BTC) reached its record high of $20,000 a coin, and these events are what prompted John M. Griffin and Amin Shams from the University of Texas Austin Department of Finance to investigate Tether’s movement. >> Is Day-Trading Ruining Bitcoin (BTC)? 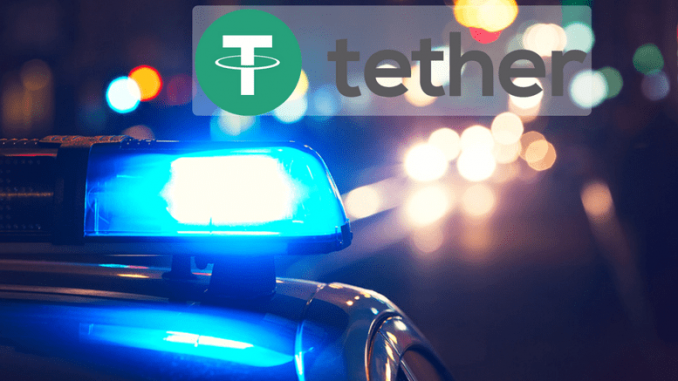 The 66-page research paper suggests that shows that Tether was “used to provide price support and manipulate cryptocurrency prices.” The paper claims that half of Bitcoin’s price rise within December 2017 was due to Tether and its issuer Bitfinex. Griffin said in an interview that he’s “looked at a lot of markets” and manipulation in a market leaves tracks in the data. The data tracks with Tether are “very consistent” with a manipulation hypothesis. Griffin and Shams’s paper has been downloaded a total of 2,780 times today and currently has 7,645 abstract views. What will become of the research remains unknown at this time, but Tether (USDT) just passed DASH and Monero to become the 12th largest cryptocurrency by its market cap.